Cécile Grimard-Masson was born in Québec City on 20 April 1924. On the eve of the Second World War, Cécile met a young man who she would correspond with throughout the war. He signed up in 1939 and served in Italy with le Royal 22e Régiment. In 1941, Cécile found employment at the Québec Arsenal, manufacturing bullets and artillery shells. She was only 17 years old at the time but quickly rose to assistant foreman. Cécile was responsible for both the work and welfare of about 50 employees. Cécile also joined the Women’s Volunteer Reserve Corps, where she looked after the welfare of Canadian servicemen. She served meals at the local YMCA, helped the men write letters home, and showed newcomers around Québec City. In 1944, Cécile enlisted in the Canadian Women’s Army Corps (CWAC). She trained in Kitchener, Ontario before assignment to a military equipment warehouse in Montréal. There she inventoried, packed, and shipped equipment around the country or overseas as needed. She met her future husband at the warehouse. Cécile Grimard married Roger Masson in 1947. They had seven children. Cécile was alive as of 2016, although her husband was deceased. If you have any current information on her life please contact us. 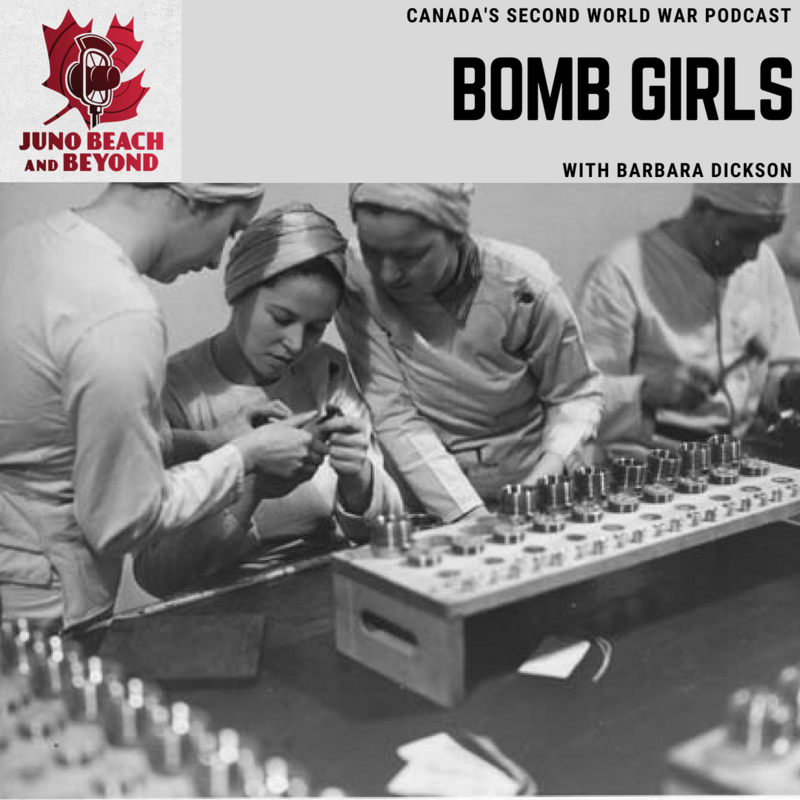 Before the Second World War, Cécile’s war factory, the Dominion Arsenal in Québec City, was the only ammunition factory in Canada. 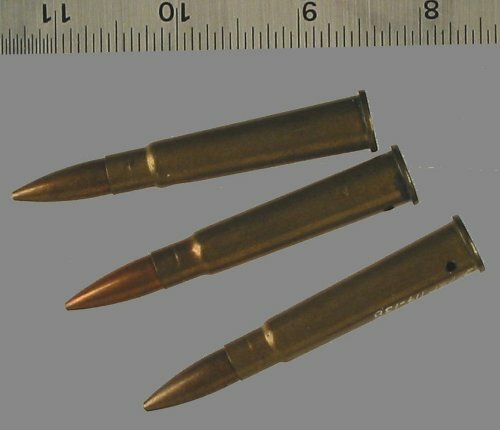 It produced 750,000 rounds of ammunition per month. In April 1940, the federal government established the Department of Munitions and Supply under C.D. Howe to control munitions production in Canada. His department converted and built plants across the country to build small arms ammunition and artillery shells. 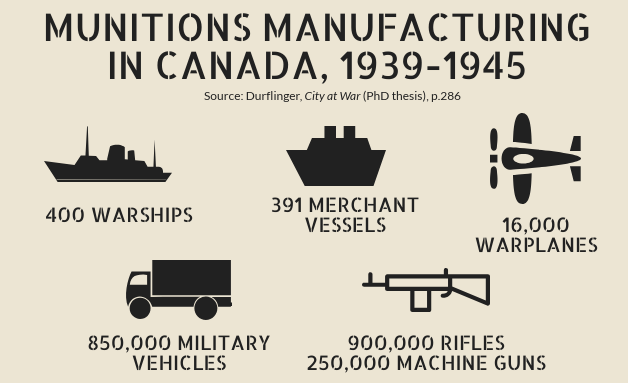 By war’s end, Canadian ammunition plants, staffed by over 30,000 workers, produced 72 million artillery shells and mortar bombs and some 4.5 billion rounds of small-arms ammunition. 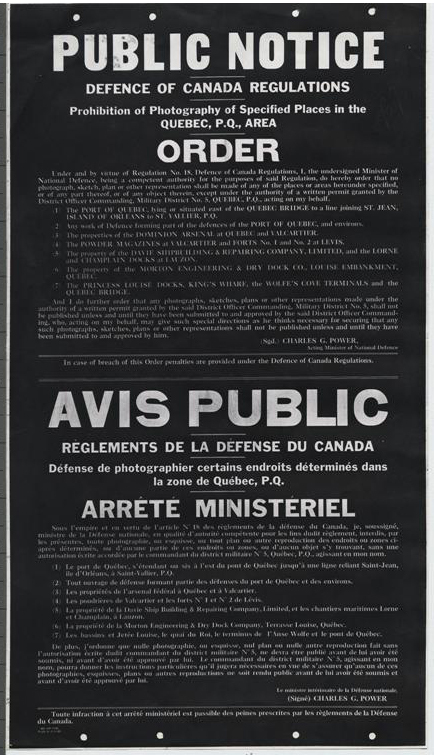 Cécile enlisted in the Canadian Women’s Army Corps (CWAC). The CWAC was the result of two factors. First, when Canada went to war in September 1939 dozens of unofficial women’s corps sprung up across the country. Thousands of women wanted to serve their country. 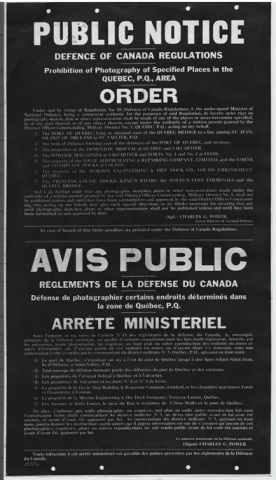 The Women’s Volunteer Reserve Corps, of which Cécile was a member, operated in Québec, Ontario, and the Maritimes. Their leaders lobbied Ottawa to create women’s auxiliary services. 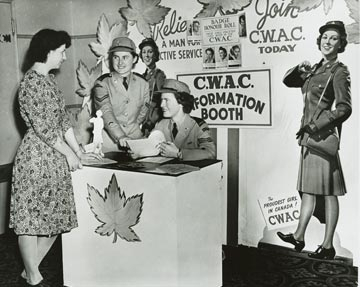 In total, 21,624 women served in the CWAC between 1941 and 1946. These women set precedents which led to the full integration of women in the Canadian Armed Forces. They also experienced discrimination: CWACs never earned more than 80 percent of the pay of their male counterparts. Some civilians (and military personnel) never approved of women working outside the home. Their attitude was that only “bad girls” would join the service. This wartime short is a musical recruiting film for the Canadian Women’s Army Corp.